Looking for a fun night out to start the Christmas season? 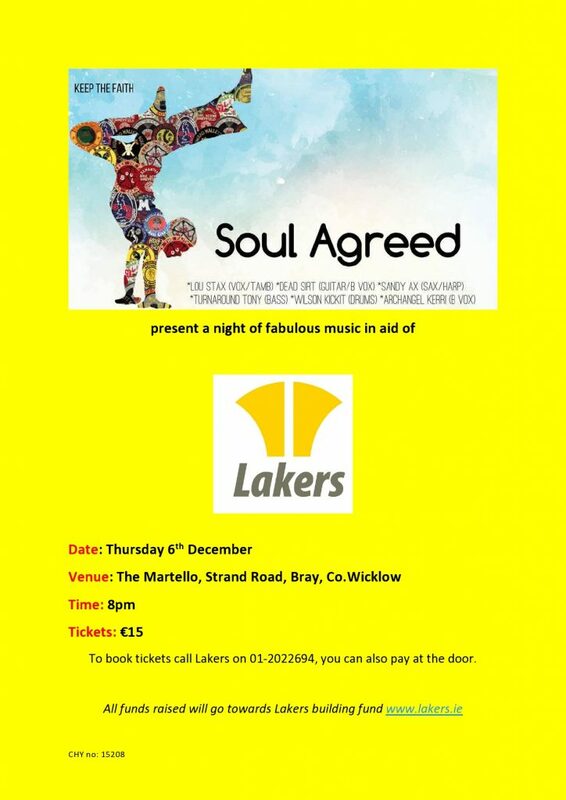 Then come along to a wonderful concert with Soul Agreed on Thursday 6th December in The Martello, Bray. Tickets are €15 and can be purchased at the door or call 01-2022694 to reserve tickets. The night will kick off at 8pm with local band Dead Levees. All funds raised will go towards Lakers building fund.